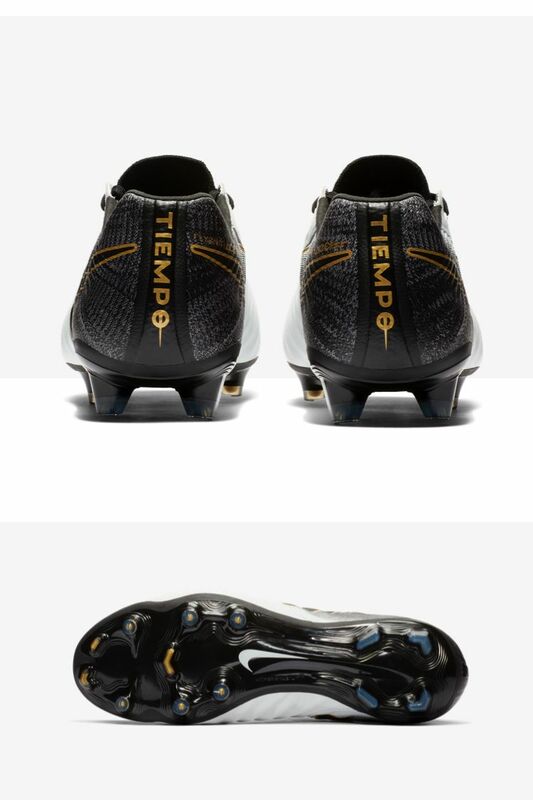 The Tiempo boot is inseparable from the beautiful game. Football greats like Pirlo, Totti and Ronaldinho all laced up the classic leather silhouette and helped establish its legacy. True to tradition and innovated for the demands of the modern game, the Tiempo Legend is the latest evolution of a timeless classic. 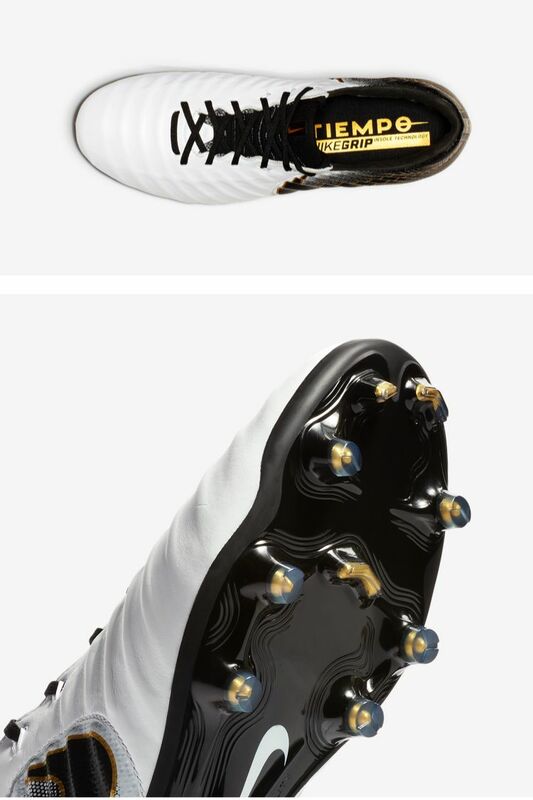 Black and white football boots are as classic as they come. The Tiempo Legend dresses up the old standbys by combining a clean white kangaroo leather upper with a black plate, and blending the two in the Flyknit heel—a new material addition to the Tiempo Legend 7 along with the ribbed Flyknit tongue. 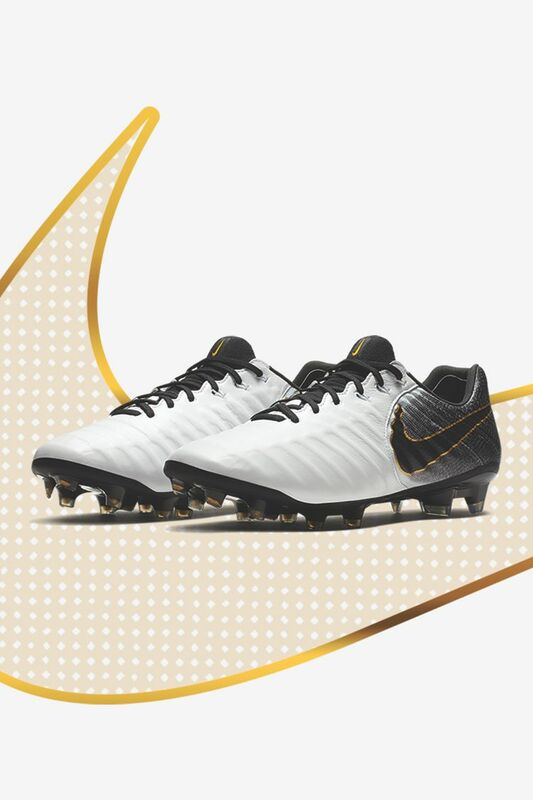 Touches of gold in the studs and outlining the Swoosh add a look of luxury to round off these traditional boots for the modern game.